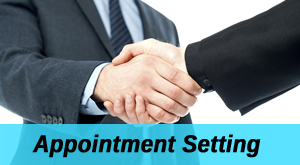 We offer unique appointment setting services to our clients. We do not perform cold calling but will call leads generated through various mediums by the client. Our Appointment setting team validates the enquiry, schedule appointments by co-ordinating with the client's sales team. We have automated the service through our Lead Management System (LMS). We support pre sales team of construction industries, banking & financial services, concepts and new product promotions etc. Our team will be able to fix appointments with the customers for face to face meetings, Site/branch visits, telephonic appointments etc.